FX Luxor is an outdoor lighting landscaping system that completely transforms the world of outdoor lighting. Lights simply do not just turn on and off, they come to life. There is even an option to choose from a wide variety of colors. 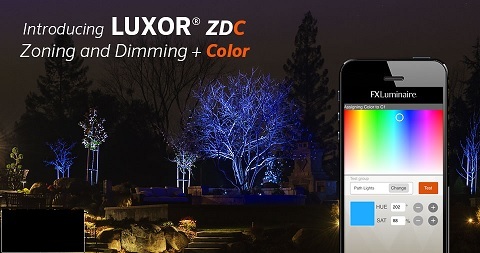 The two settings that Luxor has are dimming capabilities and zoning. Zoning allows lights to be programmed in preset sections or groups, which can be activated when having a party or other special occasions. The Luxor custom lighting design system also allows the homeowner to have only one light per zone for custom feature lighting. With the option to dim the lights in the different zones at whatever percentage you wish from 1 to 100%, the possibilities become endless. For example, you could have the deck lights at 30% at 7 o’clock and then program them to change to 60% at 10 o’clock when it gets darker. Luxor also provides you with predetermined themes, which are a set of lights grouped at programmed intensities to create that special mood you have been looking for. This state of the art custom lighting design system allows you to create a changing living space after dark for even more fun. Using Luxor, you can illuminate an outdoor patio, seating area, spa or many other options at any time of the night for any occasion or even on different days. You can create up to 250 lighting groups or zones with just one Luxor system. Luxor uses astronomical timing using a screen map display so you can set where your location is, and the system figures out the sunset and sunrise for you. The controller has controls that you can move up and down to adjust the brightness to set the dimming. With Luxor’s proprietary ZD Technology™ there is no such thing as just turning your system on and off. 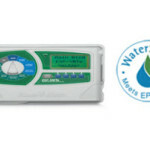 Event based timing allows you to have total control over when the lights turn on and off without even touching the controller or without the need of a photocell. Astronomical timing is one of the best ways to turn on and off a lighting system without the need of a photocell. There is an easy to use map feature that places your location just by pointing to it on the map. Zip codes, numbers or manuals are no longer needed. Using only two wires to connect features to Luxor, there is no complicated learning curve since the set up does not change. Communication is sent through the same wires that are used to power each light using the wiring technique of your choice. Landscape environments may need to be modified since lifestyles can change and plants grow. Custom lighting design can be updated throughout the changing season and holidays. Now lights can be pulled together to create a different ambiance or focal point. Reaiming and moving lights may not be necessary with the FX Luxor system. Additionally, all the lights can be controlled from your android or iphone. For more information about this custom lighting design system, contact Dallas North Lawn Sprinklers at 770-943-9654. We would love to give you a free quote.